BiOM Medical Technology deliver a passion to understand the miracle of Human Body ,and a novel wish to improve the Human life through innovation . We are dedicated to create a manifesto called “Designer’s Goal” which started that ergonomics that human factor should be the most important guidelines to design clinically . 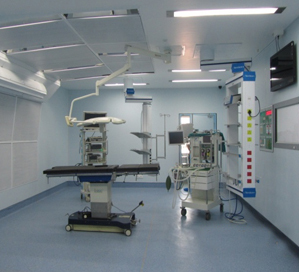 Clean environment Operating Room ! The piller of BiOM stands on “Innovation , Inspiration and Integrity” which creates the design brilliance starting from Day care surgery room to Ortho Care ,Onco care and Organ Implantation Surgical room. 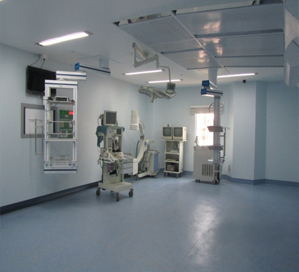 The passion dedication to improve Human life by delivering quality operating room solution, leads to innovative more efficient , safer and patient friendly devices and equipment . IIT- Bombay ( proposed) , extends their technological hands to create Real-time Particle Count manufactured in India under their technological guidance . We observe new age disease penetration across globe like SARS , ZIKA ,and different special care on Bone Marrow Implantation, motivate us to create an unique type of clean room environment – which can manage these conditions clinically well. In today's market, to be considered as the best, you need to deliver the best. And nobody understands it better than biomotion. Our willingness to accept and embrace the changing technology and its advancement is what helps us to stay in the niche of the market. BiOM’s OR expert meeting the customer understanding the plan what they have in their mind and chalk down the plan accordingly. While deciding the wall and ceiling panel one has to also keep in mind how the panels would be constructed apart from the material. HD LED operating light with surgeon control Panel . 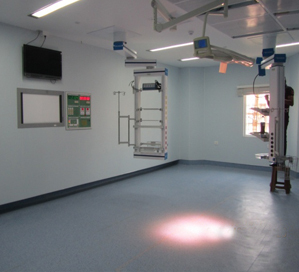 Multicolour Clean-Zone flooring with Doctors’ choice picture panel. A da Vinci robotic surgical system at Addenbrooke's Treatment Centre.